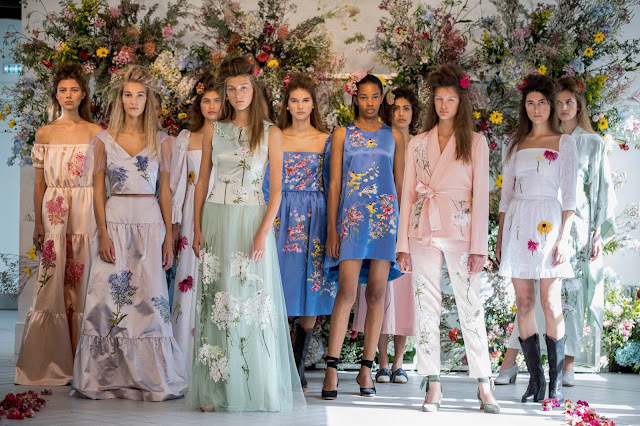 Osman Yousefzada’s spring 2019 presentation during London Fashion Week last September benefited from an unseasonably bright spell. His show took place at Phoenix Garden, an easily overlooked garden in the heart of Soho. Yousefzada’s garden party, as Vogue’s Luke Leitch captured it, could have been borrowed from the Venice Biennale or Cannes. 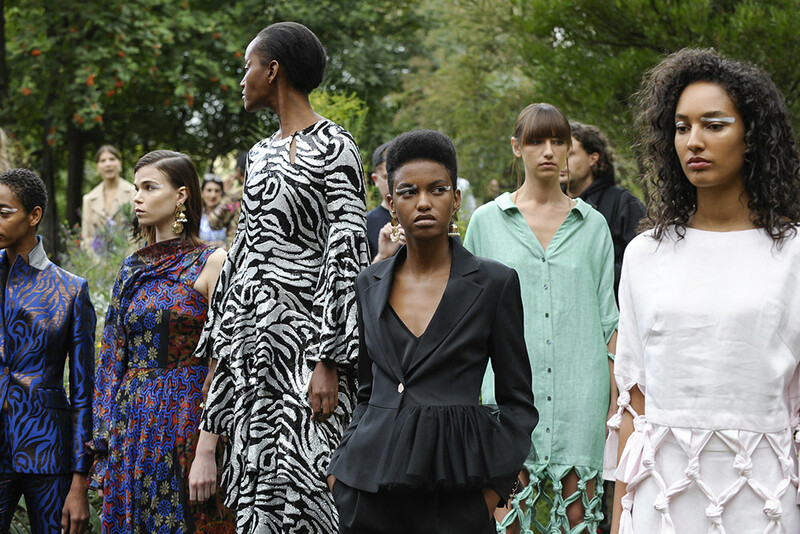 Yousefzada prescribed chic tailoring and beautiful frocks with a smattering of unexpected, eclectic pattern and fabrication. This season’s standout was a recycled zebra brocade. Underscoring this is forensic attention-to-detail when it comes to tailoring. His interest in tailoring dates as far back as 2012 when he sent a collection of evening wear rooted in tailoring—trousers, and jackets of many descriptions—down the runway. This time around, amidst a sea of shimmering frocks, there remained options—impeccably sharped—for the businesswoman whose life extends beyond the galas and functions she attends during the summer months. Finally, it appears after years of growing his garden of sophisticated fancies—with a few torrential downpours here and there—his project is in full bloom. Embroidery, her specialty, was smartly called upon; there were intricately wildflowers, from echinacea to black-eyed Susan, yarrow, and bluebells weaved into a collection consisting primarily of elegant daywear. Archer’s formula is tried and tested. Her attachment to the familiar is understandable in a fashion industry oversaturated with brands. But one can almost predict the silhouettes she’ll recall and guess there’s some bucolic scene on her mood board. The most surprising addition to this show was the styling of tailoring with cowboy boots. And with the launch of a bridal collection, she’s sure to garner more attention from women with a penchant for florid delights. But in this dog-eat-dog world, of government shutdowns and institutional failures, perhaps it’s time for Archer to break convention and get those boots a bit muddy.